At LLJ Interior Design, our goal is to create a space that reflects you and your lifestyle. Traditional or Modern? Farmhouse or Cottage: We’ll guide you through the decisions, providing fresh options and then stand back while you choose your favorites. We pull it all together into a home design that is beautiful, functional and uniquely yours. LLJ DesignTeam supervises the entire project from start to finish. Martel Interiors is the Inland Empire's premier design firm and showroom. We have been specializing in residential, commercial, and model home interior design for over 30 years. Our success is a direct result of referrals from our satisfied clients. Our designs combine beauty and function in a manner that captures each client's lifestyle or commercial work space. We buy our merchandise directly from manufacturers, making pricing very competitive. Designers work with clients through all phases of the design process, are capable of working with any design style, and are eager to meet clients' needs, desires, budget and lifestyles. Our showroom is open to the public and the design trade. It features furniture vignettes, lighting and accessories as well as an extensive selection of materials including fabrics and trims, wallcoverings, stone and tile, wood, carpet, and area rugs. Dress up your everyday. Prink and Preen is a design studio that believes in dressing up all aspects of your life and home. Katrina is an southern California native who has helped many family and small businesses bring their design ideas into reality. 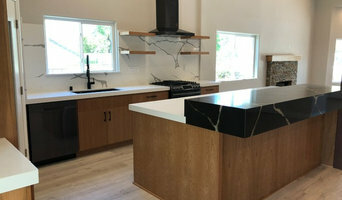 Prink and Preen Design can help people and businesses in Los Angeles, Riverside and San Bernardino county with remodels, color consultations, space planning, room designs, and select hardware and finishes. Katrina lives in southern California with her husband Paul, her daughters Siena, Vivienne, and Everly. She enjoys all things Italian, loves any excuse for a weekend getaway, and revels in the simple labor of love of raising daughters. A good home design professional will hone your style down to its very essence and be able to choose a functional layout that feels natural to you. Interior design companies can be involved as much or as little as the client desires. Many clients who hire an interior decorator in West Covina, CA — particularly those who are remodeling — have a good sense of how the room should look and what products they should use. Often clients will insist that interior decorators use the products already present in the house. Other times a designer will need to start from scratch — especially if this is a newly purchased or just-built home. An interior design company will need to figure out exactly what the client needs, which includes organizing rooms, picking flooring and wall colors, and finding furniture to complement it all. Sometimes that means he or she will have to recruit help from other West Covina, CA home professionals to help create the perfect look for your renovation. Here are some related professionals and vendors to complement the work of interior designers & decorators: Architects & Building Designers, General Contractors, Home Builders, Design-Build Firms, Photographers. 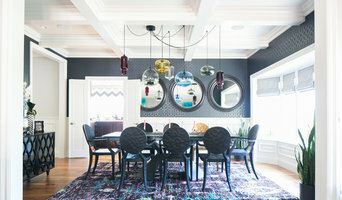 Do your research before meeting with an interior designer or home decorator in West Covina, CA. Ask yourself what you want your space to become and what it will be used for. Figure out the extent of what you need help with, what your must-haves are and what your budget is. Interior design services can add up fast, so be up front with a potential design firm or individual from the beginning. Also, pick an interior decorator that fits your style. Browse through the portfolios of different West Covina interior design firms and decide if you would live in those houses. Just because you like something doesn’t mean you could live in it. There's a big difference! Find an interior designer or home decorator in West Covina, CA on Houzz. 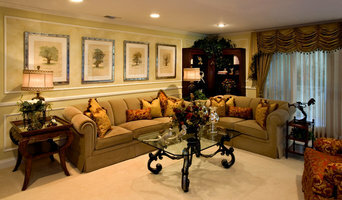 Narrow your search in the Professionals section to find West Covina interior designers near you. 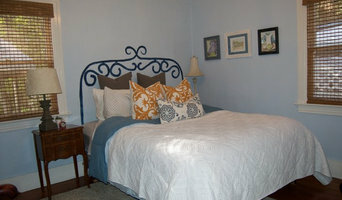 You can also look through West Covina, CA photos to find a room you like, then contact the design firm who designed it.